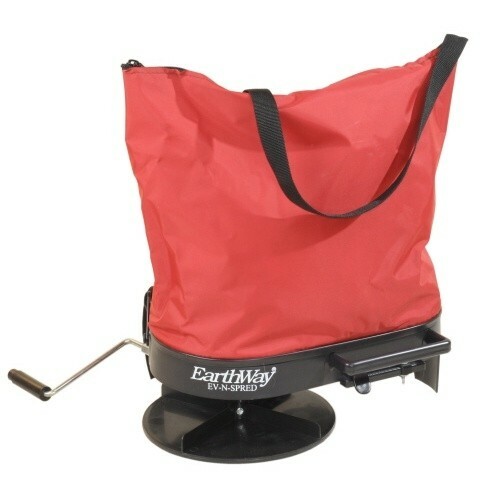 THE EARTHWAY EV-N-SPRED 2750 is a simple and effective way to evenly distribute ice melt, fertilizers and seed. The 2750 is the weapon of choice when your terrain is hilly or wet. The corrosion, tear and weather resistant 20lb/9kg nylon bag hopper is equipped with a zippered top for easy filling and closure. This nylon construction allows for the bag to remain upright when filling yet collapse for easy storage. From the contoured base for fitting around your hip, the adjustable shoulder strap and a long crank handle, the 2750 is designed with comfortable operation in mind. 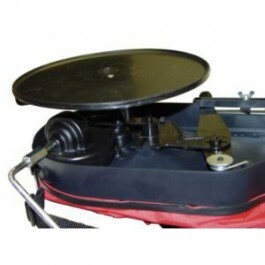 The Exclusive Rocking Agitator provides smooth, even material feeding to the distribution plate. Our high speed direct drive gear box allows the operator to adjust the spread width between 8’/215cm-12’/457cm by simply changing the crank rate. Complete directional control and spring to close shut-off makes the 2750 the ultimate choice in hand operated spreaders. Not suitable for use with coarse rock salt. 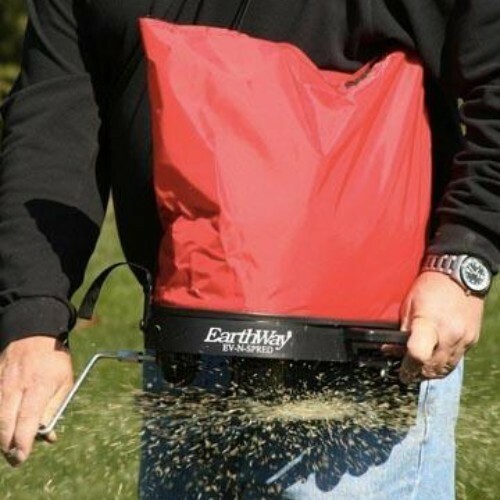 Easy to Use – Hand-operated bag spreader and seeder works for various spreading jobs. Even Distribution – High-RPM gearbox provides a smooth, feathered edge broadcast. Smooth Operation – Oscillating shut-off plate prevents clumping and aids in flow control. Perfect Size – Zippered top for easy filling and closure while holding up to 25 pounds of materials. Comfortable – Contoured moluded base and adjustable shoulder strap make it comfortable to wear. Before filling the hopper with ice melt or fine salt, ensure the variable flow is set at closed. 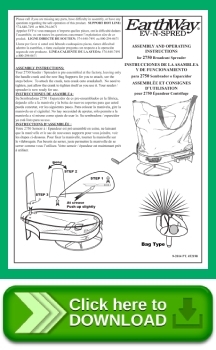 Ensure the nylon bag is zipped closed. This will ensure no product is lost during the filling stage. Turn the cranked handle to engage to flow of ice melt or salt and continue until the whole of the desired area is covered.